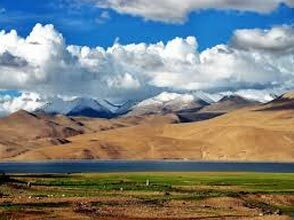 Ladakh is one of the most unexplored regions of the Tibetan Plateau. We customize this trip to the needs of our clients. 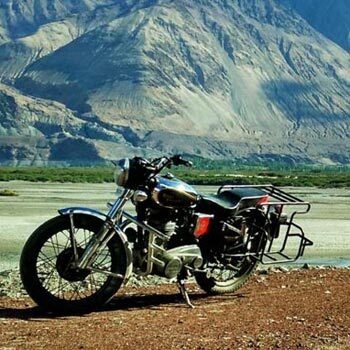 Take a flight from Delhi to Leh and pick the quintessential Royal Enfield to ride on some of the most rugged terrains of the World. You would cross world's highest motorable passes, camp at high altitude lakes and spend time in valleys which are 12,000 ft above mean sea level.Any airfare . Any item not specified under cost includes. Your flight to Leh would be an early morning one. On this day when you arrive Leh by air you would witness one of the most beautiful sights of Leh valley amidst the spectacular Himalayan peaks. We shall receive you at the airport and take you to your hotel. This is the day we have kept for a local tour of Leh region on a car or a motorcycle. 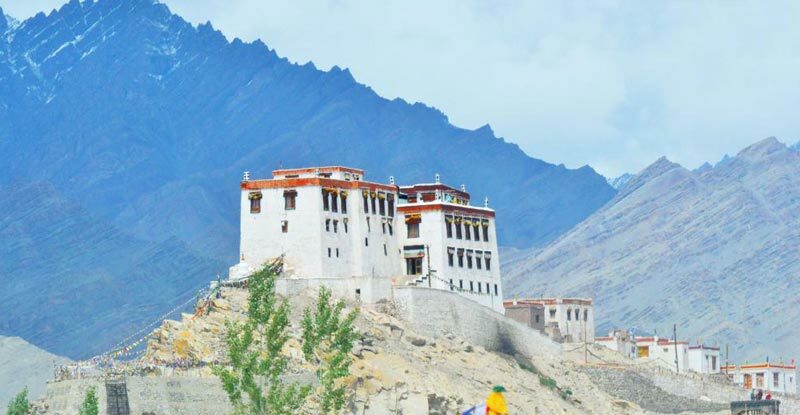 Another day to acclimatize to high altitude, as also cover some essential tourist spots - Leh palace, Shanti Stupa, Hall of Fame Museum, a Ride to Shey, Thikse, Stok Palace and Hemis monastery. If you have opted to biking then its a good day to get used to your bike and the traffic conditions. We ride out after breakfast and explore the beautiful Nubra valley. The green hamlets nestled in the valley supporting life. The essential tourist spots we see today are the Hunder sand dunes; double humped bactrian camels and unique Diskit monastery and its Giant Buddha. The bactrian camels are a wonderful remnants of the trading days. At noon we ride back to Leh, via Khardungla pass and check into your hotel. If the route is good and pass is open - we may take a different route to Leh via the less visited pass of Warila. Overnight at camp/resort in Spangmik. 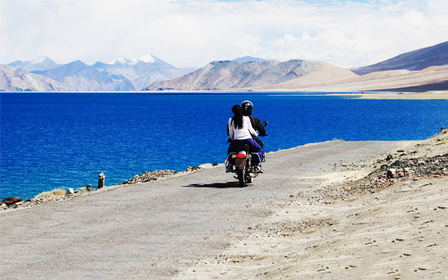 Having done Pangong Tso - now its time to return back to Leh for your last evening in Ladakh. You could spend the time collecting some memorablia from Leh town, or just have a easy evening looking back at your time spent in this wonderful part of the world. These memories will surely keep coming back to you. 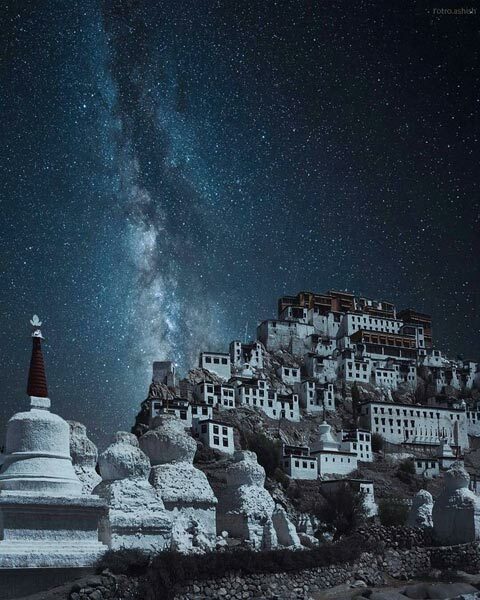 You have had one of the most unique experiences in life but now Its time to fly out of Leh. Our representative will transfer you to airport. Entrance fees to monuments and monasteries. Accommodation on twin sharing basis with MAP basis breakfast & dinner. All rides, sightseeing and excursions as per the itinerary using Royal Enfield 350 or 500cc. 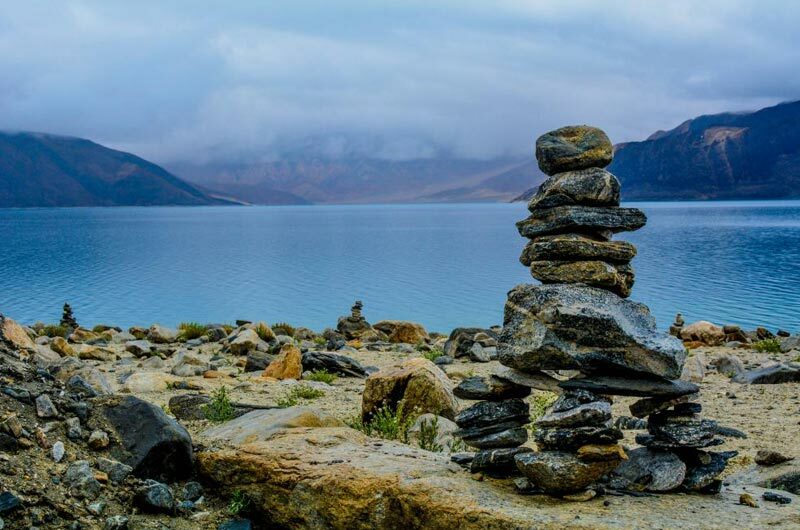 Permit Handling Charges for the visit to Pangong Lake, Khardung La Pass and Nubra Valley. Hot tea & biscuit in vehicle while riding to Nubra and Pangong.